If there’s one thing ultraportable laptops are not known for, it’s the ability to play PC games. Shrinking down a laptop means there must be power sacrifices to make everything fit. Graphics cards are big and they take up a lot of space inside a computer, so when you trim down, GPUs need to go. 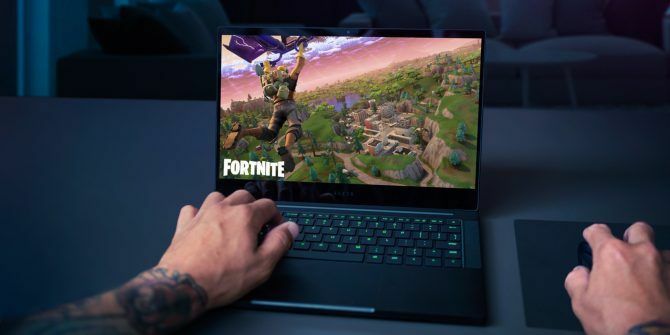 This tends to make PC gaming an impossible task, but Razer is aiming to make gaming on an ultraportable laptop possible with the new version of the Razer Blade Stealth, which is available with Nvidia GeForce MX150 graphics with 4GB GDDR5 VRAM built-in. What Makes the New Razer Blade Stealth Special? The new Razer Blade laptop stands out because it mixes the lightweight, tiny-bezel design of an ultraportable laptop with some of the power of a bulky gaming PC. While it’s not quite as powerful as a hulking monster with a desktop graphics card, the Blade Stealth can handle a lot more games than your average ultrabook. Razer’s new laptop has an impressively tiny bezel that looks almost edgeless. There’s 4.9mm of bezel on each side of the laptop, which is a decrease of 60% from the previous version of the Blade Stealth. How Much Is the Razer Blade Stealth? You can purchase the Razer Blade Stealth right now starting at $1399. However, for the model that includes the NVIDIA graphics and a 1080p display, you’ll need to drop $1599. For the 4K model with the graphical power, it’ll set you back $1899. The laptop is available right now directly from Razer. On a budget? Check out our guide to buying a gaming laptop for under $500 How to Buy a Good Cheap Gaming Laptop for Under $500 How to Buy a Good Cheap Gaming Laptop for Under $500 Finding a good cheap gaming laptop is pretty much impossible, unless you use these tips and tricks to get the most for your money. Read More . Explore more about: Razer, Ultrabook.